Rita Ora steps out in cap and trackies... and with her own face on her jumper. 21. 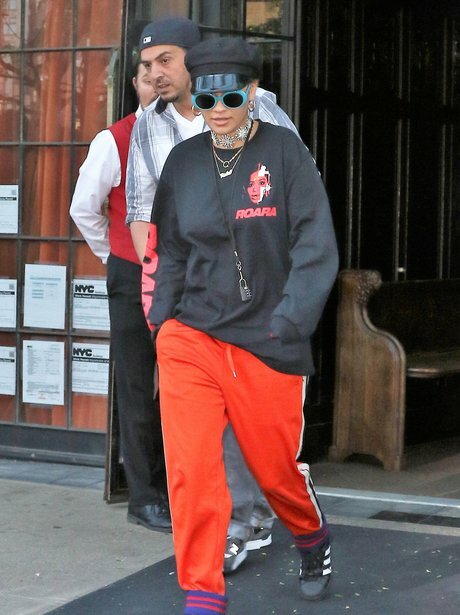 Rita Ora steps out in cap and trackies... and with her own face on her jumper.